On Wednesday, Nebraska coach Scott Frost fielded questions to put a bow on the 2019 recruiting class. The Huskers signed 26 recruits this cycle, including seven early enrollees. Nebraska also brought in graduate transfer defensive tackle Darrion Daniels from Oklahoma State. The Huskers landed one additional commitment on National Signing Day when 4-star wide receiver Demariyon Houston committed. 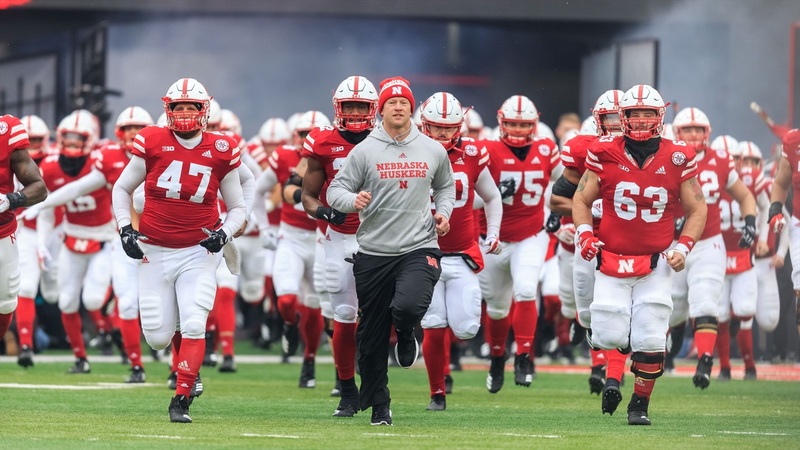 Since Frost and his staff arrived in Lincoln, they have preached that a big part of the philosophy is recruiting players that aren’t just talented but also have high character. When you look at the class, a lot of players were looked at as leaders or were team captains. Frost was asked about that philosophy on Wednesday. “To be honest with you I think that getting to know kids and getting an honest evaluation of their character on top of their talent leads you to getting the right type of kid,” Frost said. “I think the way we recruit lends itself to us getting those type of kids. I think those type of kids are attracted to my coaching staff and the guys in our building because when they get to know us they see the character of these assistant coaches and other people and those are the kind of people they want to be around. I think they see the honesty in the way we recruit them, the genuine nature in the way that we approach it and that appeals to the right type of kid. When pressed further on any specific players he sees as a future leader, Frost elected to speak about those seven early enrollees and what he has seen from them. “I could just address the guys that are already on campus,” Frost said. “I don’t know if I have seen a kid work harder in an offseason to learn an offense than Luke [McCaffrey] and he has been kind of a little bit of the ring-leader of that group already. Wandale [Robinson] is kind of the same way, coming in and learning and he is going to be able to play more than one position in his first year because of the way he learns and the way he approaches things. Nick Henrich is cerebral and smart and a problem-solver and tough and I know he is going to be a leader on defense. Garret Nelson is a wild man, I love it. His energy is going to lead us in some good directions. Chris Hickman, same way. Brant Banks, same way. Jamie Nance is doing a good job. >> Sticking with the leadership theme, Frost spoke about graduate transfer Darrion Daniels’ potential as a leader in the class. >> Frost gave his viewpoint on one of the hot topics that is always talked about this time of year: How is winter conditioning going so far? >> Last season, now sophomore running back Maurice Washington burst onto the scene. He had a solid freshman campaign despite playing underweight during the season. Frost gave an update on Washington’s physical progress. >> Wide receiver JD Spielman missed time at the end of last season with what was an undisclosed injury. Frost gave an update on him on Wednesday.